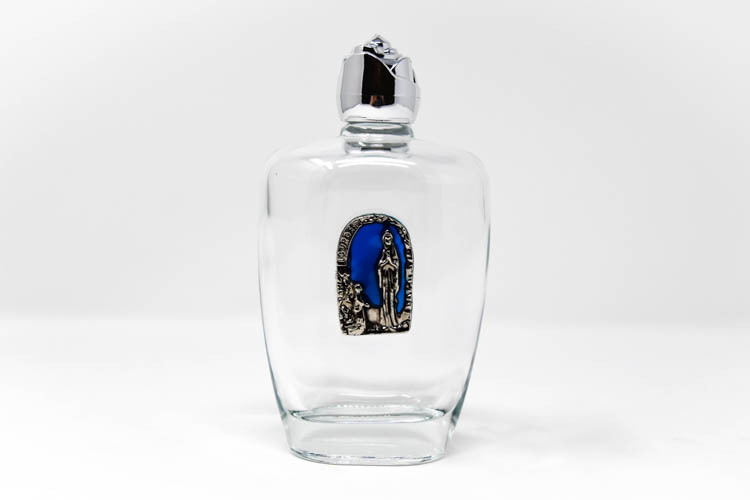 A large oval shaped glass bottle of Lourdes holy water with a silver rose cap. It has a 3D blue plaque depicting St. Bernadette kneeling to Our Lady of Lourdes. This bottle measures approximately 12 cm in height and contains 100ml of Lourdes water.